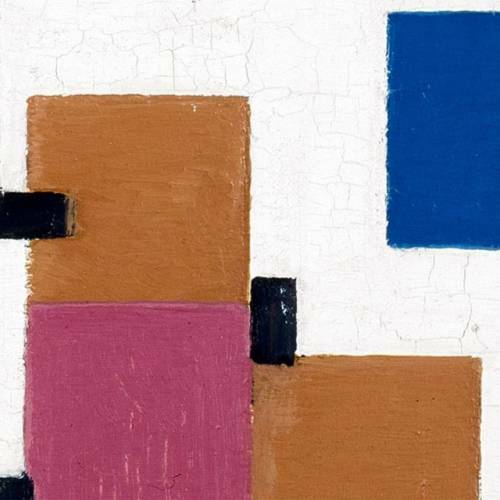 Piet Mondriaan, together with Bart van der Leck and Theo van Doesburg, establish the De Stijl movement in 1917. They aim to create a new kind of art, for a new and better world. In his work, Mondriaan seeks a balance between lines and colours and strives for an abstraction that evokes a universal and timeless image. Composition in colour A is a study towards that ‘pure, neo-plasticism’. The colours in this work are a muted version of the primary colours: dark rose red, deep blue and dark ochre. The clearly delineated coloured areas are linked in all possible ways, together with one or more black line fragments. Sometimes they are placed side-by-side, sometimes overlapping, with no obvious system. The result is that the different elements appear to float in an indefinable space. The white is not a neutral background, but a living component of the painting. It is just as much a form as the surfaces and lines. 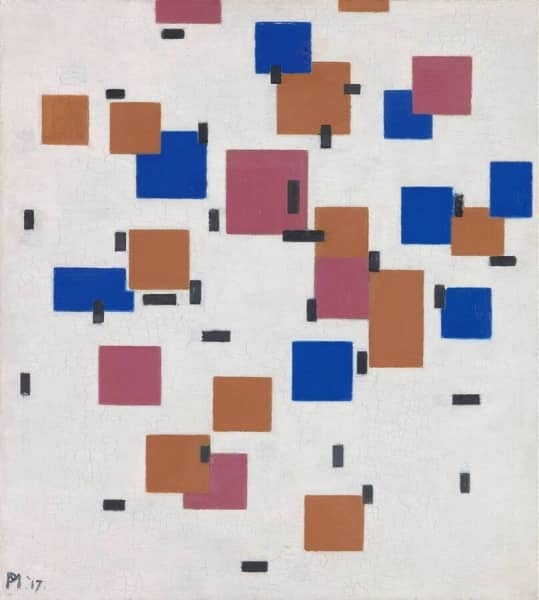 Composition in colour A still consists of rhythmically arranged coloured areas, but in the years that follow, Mondriaan does away with any suggestion of movement and depth in his paintings and uses only red, yellow and blue.